In this How-To, we will walk you through getting started with your Ubuntu 14.04 LTS with LAMP cloud server and verify everything is installed correctly. LAMP is a software bundle that consists of four components. Linux (L) is the core platform which the other components run on. Apache (A) is used to host web services. MySQL (M) is used for database management. PHP (P) is used for the back-end coding language. 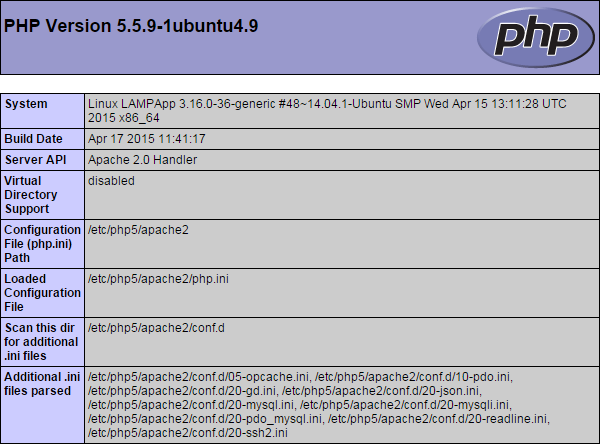 A server with Ubuntu 14.04 LTS with LAMP. 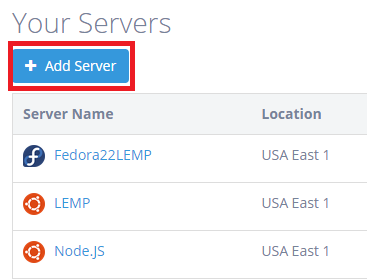 If you do not have a server already, you can visit spin up a dependable server in under 30 seconds. -Server Name: Name the server whatever you’d like, it’s a cosmetic choice that does not impact server functionality. It’s there to help you manage your servers. 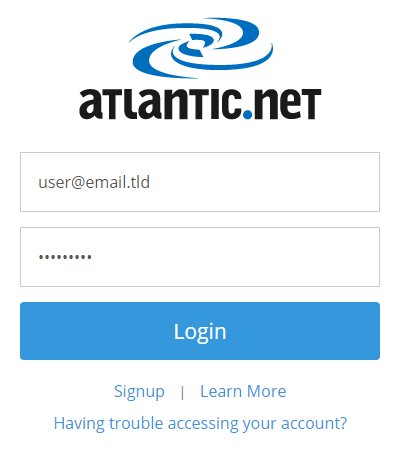 -Location: Select which Atlantic.Net Cloud Platform you want your server hosted on. For best overall best performance, select the location closes to you. 1) In this tutorial, we chose USA-East-1. -Plan size of your choice. This will depend on what you will be using the server for. You are able to scale up the server at anytime but unable to scale down. 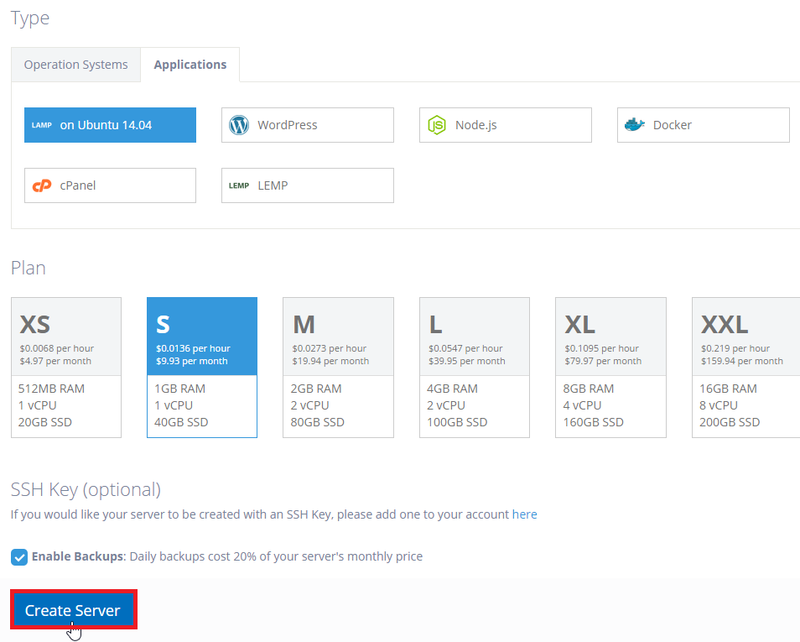 You are able to view more detail for each plan on our cloud server pricing page. -If you would like to enable backups for your server then you would check the box beside “Enable Backups”. Daily backups cost 20% of your server’s monthly price (minimum $1). Once enabled, you are able to restore your server to a previous date through the cloud control panel. You are able to enable/disable backups at any time as well. You will then be sent to a page with the server details including the server credentials. You are also emailed the server credentials. Once your server is provisioned, you will need to SSH into your server. You can navigate to here if you are not sure how to SSH into your server. Once you have logged into your server, you will see the provided LAMP Notes. Note: Make note of your current “root database password” as we will need it later to change it to a user-defined password for security reasons. You will want to verify everything was installed correctly and are working. 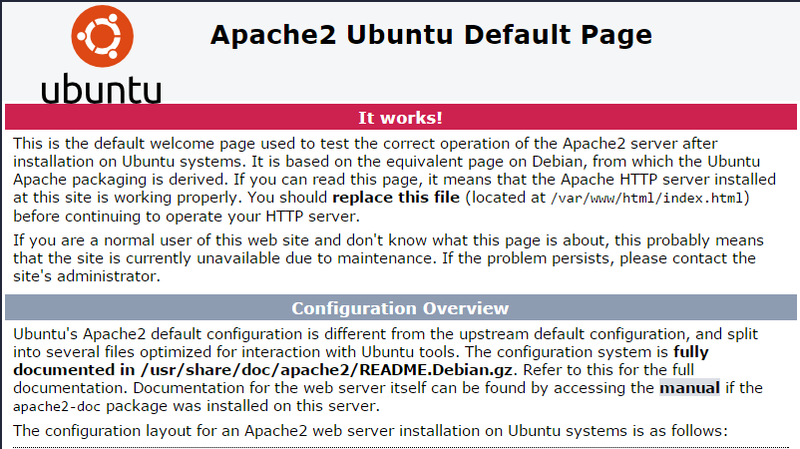 To check Apache, go to http://<serveripaddress> , if it is installed, then you will see this. 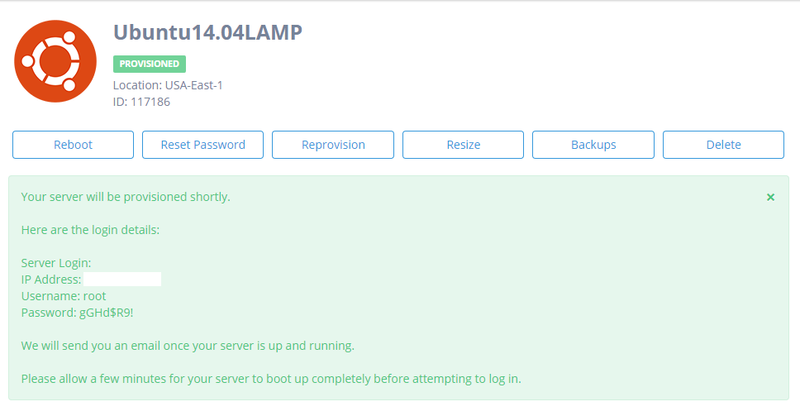 You will first be prompted to enter the current root password for MySQL which was provided in the LAMP Notes when you first logged into your server. Once you have entered the correct password, you will be asked if you want to change the root password, you would type “y” and then enter if you would like to change it. After changing your password, you will be prompted to answer a couple more questions which will make your MySQL secure by removing anonymous users, disallowing root login remotely, removing the test database and access to it (Ignore error as database does not exist) and then reloading the privilege tables. Once done, you are complete with MySQL! This will open an empty file, we want to input the following text. If your server is able to translate the PHP script correctly, you will see something similar to the below picture. Once you have verified all components of the LAMP installation, you are able to begin configurations for your site!